Trio A With Rabbits is a dance/art happening at 7.30pm on Friday 14th December 2018 at the Eternity Playhouse in Darlinghurst. Original artworks have been donated to accompany this event by celebrated visual artists from Australia and New York. All artworks are for sale via auction as a fundraiser for refugee families in Australia. 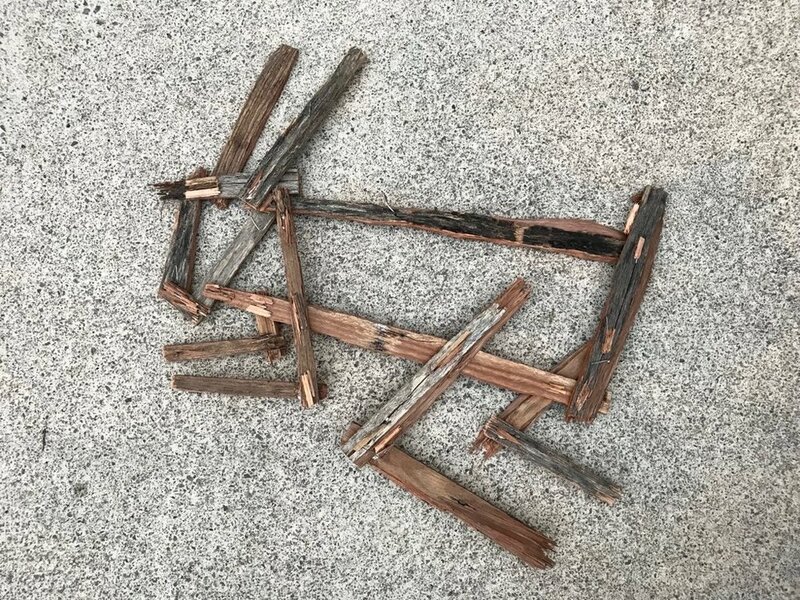 Using aged and splintered wood found on the street, the artist has created a makeshift ode to the rabbit graffiti on the Berlin Wall. The sculpture, 75cm x 52cm, is meant to be suspended. Like many of Deirmendjian's artworks, "oh rabbit" is marvellously inventive. Once suspended, the piece will be agitated by air movement, and become accompanied by enlivened rabbit shadows cast on the walls about. Deborah is reproducing this image as a screen print on fabric. This etching is donated to our fundraiser by Whaling Road Studios. It is approximately 560 x760mm. More details to come! This shawl was freestyle hand knitted using wool from Germany and Canada, countries who do not detain refugees in camps. The blue BFL wool, a rare breed in Australia, was used to highlight the richness of the fabric when integrating different fibres and colours.